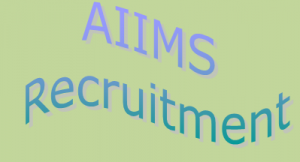 New Delhi: A number of posts of doctors and faculties in reserved category are lying vacant in AIIMS due to a number of reasons, Health Minister JP Nadda said. “The posts of faculties and doctors are unfilled due to non-joining of selected candidates, unsuitability, unavailability, resignations and retirements. Filling up of posts is a continuous process and various steps including special recruitment drives for filling up of reserved posts are undertaken,” the minister said.